What About Taking Opioids to Manage Pain? In the United States: 1) seniors represent over 13% of the population but consume 40% of prescription drugs and 35% of over-the-counter drugs; 2) on average, people 65-69 years old take nearly 14 prescription drugs per year, and those 80-84 take an average of 18; 3) 15-25% of drug use in seniors is considered unnecessary or inappropriate; 4) adverse drug reactions & non-compliance are responsible for 28% of hospitalizations of the elderly; 5) 36% of all reported adverse drug reactions involve an elderly person; 6) annually, 32,000 seniors have hip fractures related to medication-related problems. Regarding pain control, let’s look at opioid use and the impact it has on our overall health. One recent study investigated problems associated with chronic low back pain (cLBP) and its effect on daily function. The authors specifically focused on the sleep patterns in patients with cLBP and then looked to see if there were differences between those taking opioid vs. non-opioid medication. The study compared ten healthy “controls” and 21 cLBP patients where six were taking non-opioid meds and fifteen were taking an opioid medication. Using questionnaires and sophisticated sleep study equipment, the researchers found that patients in both cLBP groups—regardless of medication type—had significant sleep and wake disturbances, decreased sleep quality, increased symptoms of insomnia, increased fatigue, spent more time in bed, took longer to fall asleep, and had higher variability in other measurements compared to the control group. However, those taking opioids (>100 mg morphine-equivalent/day) had distinct abnormal brain activity during sleep unlike the others. It’s well known that sleep disturbance can gravely affect our overall health and longevity, and the use of opioids only makes sleep problems worse! When compared with a placebo, opioid side effects include: constipation, nausea, somnolence, dizziness, itching, and vomiting. 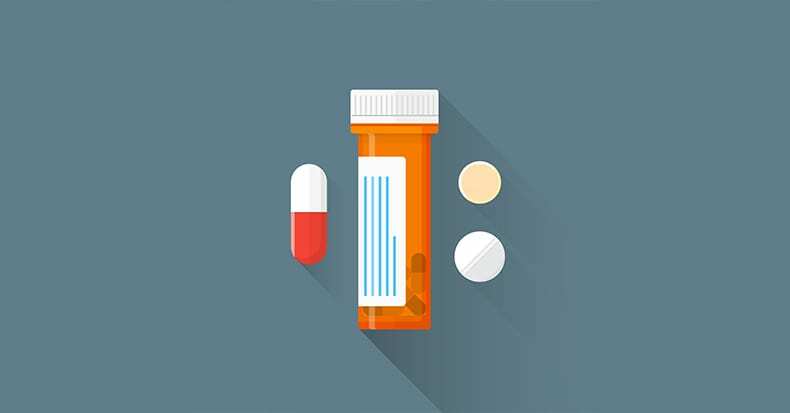 Medications to treat the primary opioid side effect of constipation (such as Movantik) have their own side-effects when compared to a placebo including abdominal pain, diarrhea, nausea, flatulence, vomiting, headache, and sweating. These side-effects may prompt yet another medication to try to counteract the above, thus creating a dangerous vicious cycle! As a disclaimer, we realize that many people HAVE TO take certain meds to stay alive or to achieve an acceptable quality of life. The “take-home” message here is to minimize the amount of medication taken as much as possible making sure the benefits truly outweigh the risks! For conditions like musculoskeletal pain, consider non-drug, non-surgical options like chiropractic care. Many studies show chiropractic care is not only highly safe but it can get patients out of pain fairly quickly. Additionally, the benefits may persist long after treatment ends, something that doesn’t typically happen if you cease taking a medication for such conditions.